Commercial property management is a partnership between the owner and Large Vision Property Management. By working together on your goals we can achieve the maximum return on your investment property. 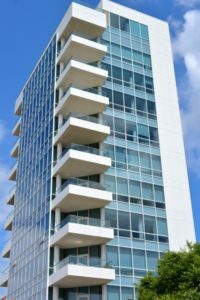 Allow Large Vision Property Management to handle all your commercial property management needs. From a small office to a large complex, our knowledgeable and experienced staff understand how to combine leading-edge tools, and technology, and to anticipate clients’ needs and to exceed expectations. We handle all aspects of professional property and facilities management. We keep in constant communications with owners providing them with up dates of what is happening with their properties and with monthly financial reports. Our property managers understand that commercial real estate is a business, believing that exceptional management of an asset means having the right team of experts in place to maximize profit and value. We support building operations, physical maintenance, tenant relations, accounting, leasing, marketing and sales through a collaboration of the latest technology and personnel, hands on, service.